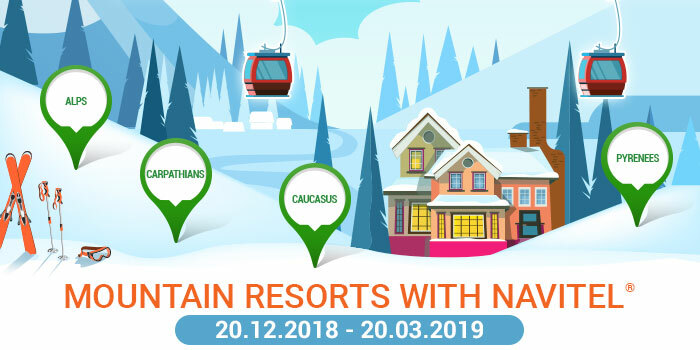 NAVITEL® launches special map packages for precise GPS navigation for those who enjoy mountain resorts! Only until March 20, 2019, you can purchase summer map packages "Alps", "Carpathians", "Caucasus" and "Pyrenees" at a special price. The offer is available for iPhone and iPad as well as for mobile devices based on Android, BlackBerry OS, or Windows Phone. over 1 million POI (hotels and restaurants, gas stations and ATMs, cafes and bars, cultural sites, shops and more). 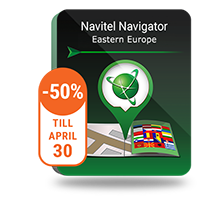 You can purchase license keys for the special winter season products from December 20, 2018, until March 20, 2019, on NAVITEL® official website or from your Navitel Navigator application (Menu > My Navitel > Buy maps).